The Democratic Alliance says it will demand full details about a R370bn loan allegedly negotiated by President Cyril Ramaphosa with China as a “stimulus package” for the country. On Sunday, the party said it would send parliamentary questions to the presidency and the Minister of Finance Nhlanhla Nene to seek full details of the terms and conditions attached to the “gift” of R370bn that President Ramaphosa has apparently “negotiated” with China. “Recent media reports indicate that the Chinese government has promised this multi-billion rand “gift” to South Africa as some sort of stimulus package,” the party said in a statement. President Ramaphosa’s government is under pressure to lift the economy out of a slump, and recent figures showed that the economy slipped into recession in the second quarter, as GDP contracted by 0.7%. The DA warned that the country could fall into a “debt trap” if it failed to meet the repayments. It said Ramaphosa was desperate to meet the $100bn target in foreign investment he announced after his appointment in February. China has become South Africa’s most strategic trading partner, and Ramaphosa early this month visited the country was on official business. The visit followed Chinese President Xi Xinping’s visit to Pretoria, where the two countries signed a number of bilateral agreements, including a R33.4bn loan from the Chinese Development Bank. Last week, Ramaphosa declined to reveal the terms of the Eskom loan, as well as a separate R4bn loan to Transnet, after the DA asked him in parliament. 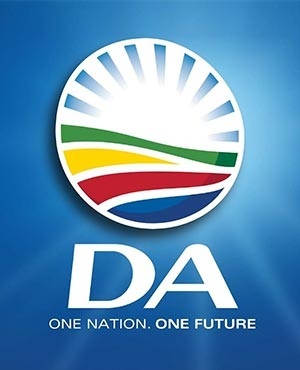 The DA said it would now make an application in terms of the Promotion of Access to Information Act to get access to the full loan agreement.